1. Coarsely grind the pork shoulder and belly. 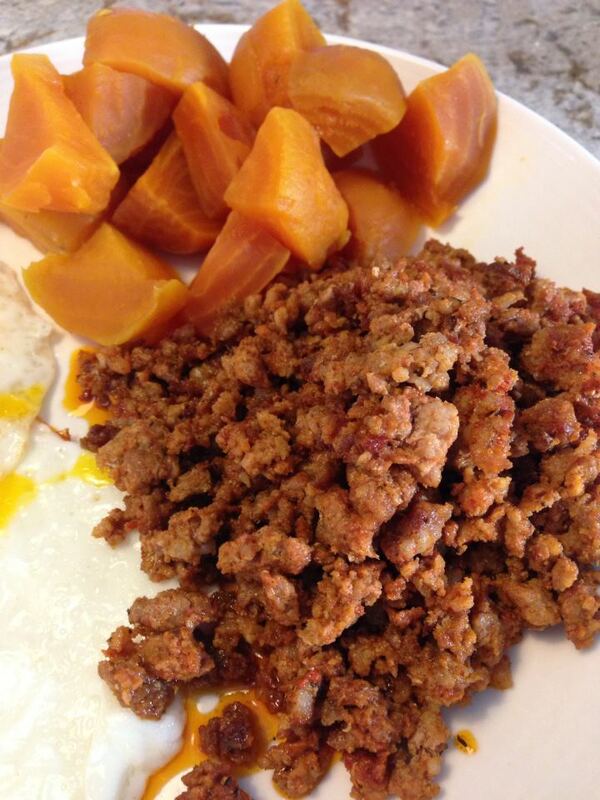 You could also use ground pork, but this combination really does give the best results. 2. Make a paste with the ingredients. Combine the meat with all the other ingredients, mixing thoroughly with your hands. Or if you're a raw-meat-a-phobe like me, use a stand mixer. You can see the beautiful red chorizo paste on the right. 3. Transfer to a sealed container and refrigerate for at least 24 hours before using. Every couple of days pour off any liquid that has come off the meat and add a pinch of salt. Keeps for up to 2 weeks. 4. To cook heat a pan on medium heat. Add the meat and cook, breaking the meat apart until it is crispy. Approximately 5-7 minutes.